Superdry men’s 1994 metallic box fit t-shirt. 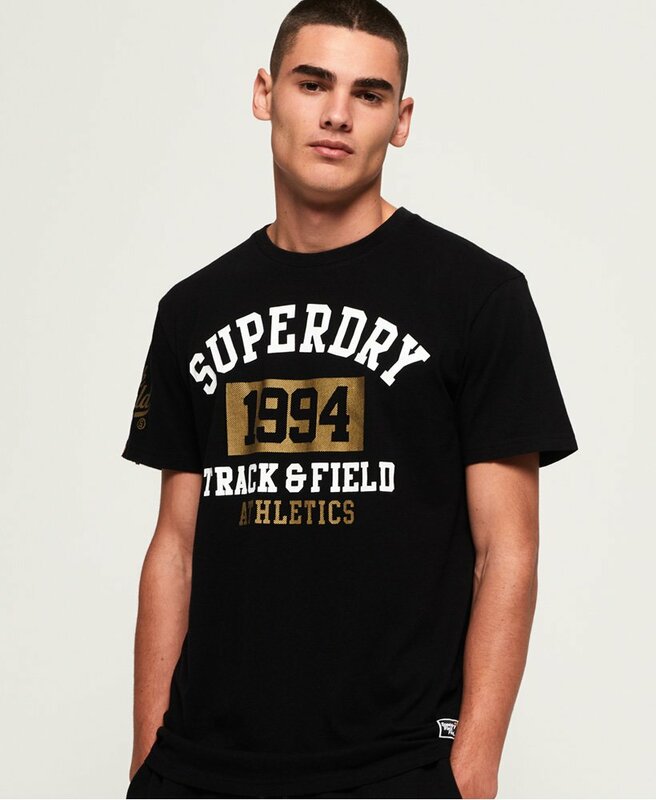 A crew neck tee in a relaxed fit featuring a large Superdry Track & Field logo across the chest and arm, with a cracked effect finish. This simple t-shirt is completed with a logo tab on the sleeve and logo badge just above the hem. Wear this item all year round with your favourite jeans and a hoodie.